Hello, everyone! I'm Akinori Sao, a writer in Kyoto. 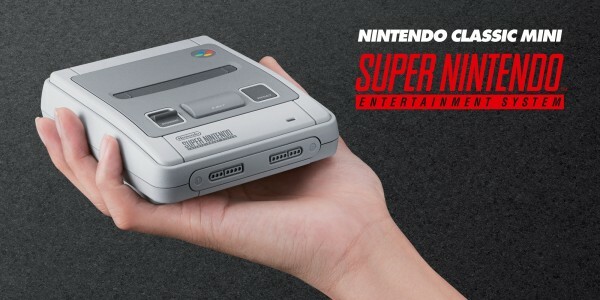 When Nintendo Classic Mini: Nintendo Entertainment System was released last year, I think a lot of people (including me) also wanted a Super NES version, and now here it is: Nintendo Classic Mini: Super Nintendo Entertainment System! 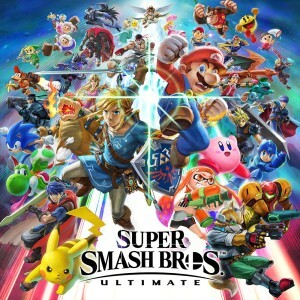 From the release of the Nintendo Entertainment System in 1986 to the release of the Super Nintendo Entertainment System in 1992, gamers had to wait six years, but this time there’s only a gap of one year. Isn’t the pace of progress astounding? This time I will be interviewing developers of Super NES games. My first topic is the 3D shooting games Star Fox and Star Fox 2, the latter of which has been considered a “phantom game” since it was never released. 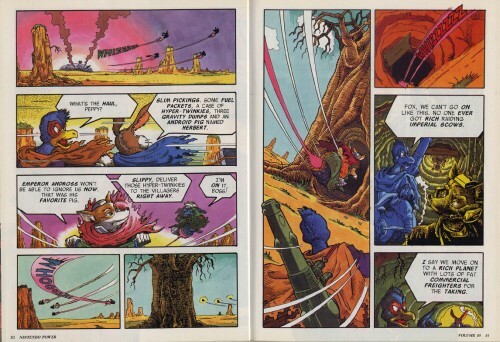 Please note: Star Fox was originally released as Starwing in Europe. 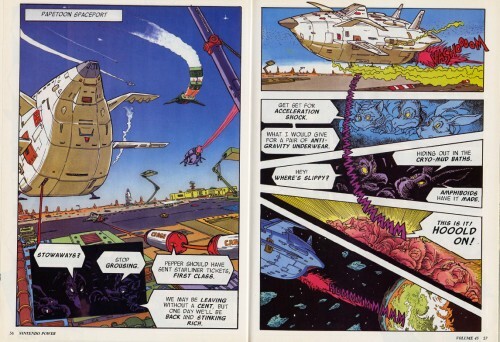 This enjoyable digital manual explains the game content of Star Fox 2, so please check it out. And now for my interview with Shigeru Miyamoto, Takaya Imamura and Tsuyoshi Watanabe, who were involved with development of these two games. Miyamoto-san, would you please describe your roles in the development of the original Star Fox game? 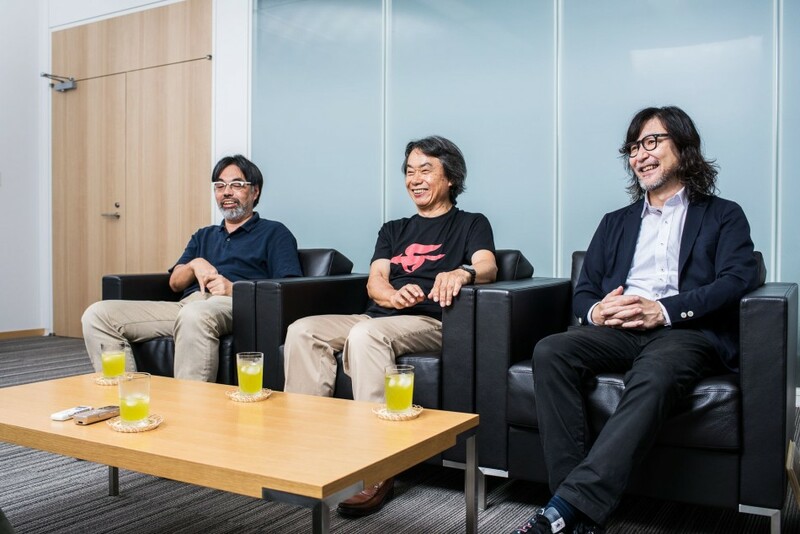 The three of us have been working together on the series since the original Star Fox. I was game designer and producer, Imamura handled graphics aside from polygons and character design, and Watanabe was mainly in charge of polygon design. Imamura-san, before Star Fox, you were involved with development of such games as F-ZERO1, which was released simultaneously with Super NES. Yes. I designed vehicles and rendered characters. 1. F-ZERO: A racing game set in the near future and included in Nintendo Classic Mini: Super Nintendo Entertainment System. The game was originally released in Japan in November 1990, and in Europe in 1992. Watanabe-san, what were you doing before joining development of Star Fox? I was designing the backgrounds for The Legend of Zelda: A Link to the Past.2 A senior developer rendered the Light World, but I was in charge of the backgrounds for the Dark World. 2. The Legend of Zelda: A Link to the Past: An action-adventure game included in Nintendo Classic Mini: Super Nintendo Entertainment System. The game was originally released in Japan in November 1991, and in Europe in September 1992. I also asked you for that enigmatic art for the opening narrative text. That’s right. I also did things like render pictures of the Seven Sages. Watanabe, you joined the company later than Imamura, isn’t that right? Yes. I joined a year after Imamura. I entered the company before the release of Super NES and spent my first year debugging. 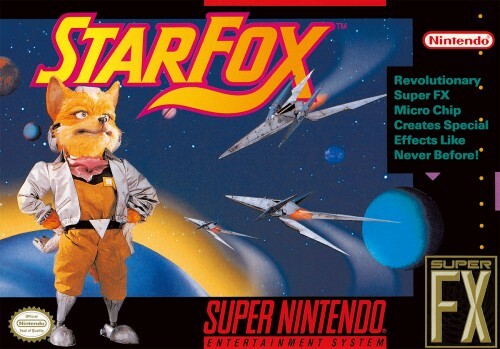 Our topic this time is the original Star Fox, which came out in 1993. What kicked off development? I wanted to make a full-fledged game using polygons. At the time, most games used pixel art, but you wanted to use polygons to make a three-dimensional game. That’s right. Inside the company, we considered various approaches, but the hardware development people said it was impossible. Oh, I see. Super NES wasn’t originally designed to run polygons. 3. Argonaut Software (later Argonaut Games): A British video game developer that developed a 3D engine. 4. Super FX™: A chip for rendering polygons and 3D graphics that was added to Super NES ROM cartridges. In addition to Star Fox, the chip was included in games such as Super Mario World 2: Yoshi's Island. Super NES uses cartridges, so by adding that chip, you could further evolve hardware later on. That’s right. With cartridges, it’s helpful to be able to add hardware. Watanabe-san, you did polygon design. What difficulties did you encounter? Even with the Super FX chip, Super NES had a lot of constraints. Rendering any design you like in polygons results in processing overload. So when rendering starfighters, I went through a process of trial and error in order to make the direction their noses were pointing clear with the smallest number of polygons possible. Each new polygon vertex increases the processing burden. So I investigated how many vertices I could show on one screen beforehand. As a result, I made many buildings square or triangular and made enemies with as few polygons as possible, with flat shapes so they could fly in any direction. And we made the ground scroll. We put a pattern on the ground and had it scroll to convey a sense of movement. For that pattern, we could do little more than a simple gradation. 5. 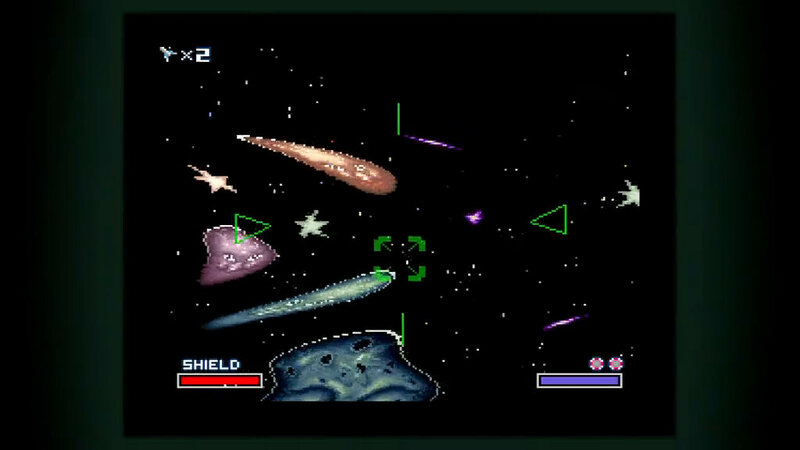 Out of This Dimension: A hidden stage in the asteroid belt of level 3. Destroying a large meteorite that appears on the right causes a large bird to appear. If players ram into it, their fighter enters a hidden stage. Oh, right! You warp into a hidden stage where a slot machine appears! Yes. And if you get a 777 on the slot machine, the production staff credits appear. And “Hänschen klein”6 plays, too. A planet with a face floats in the background and squiggles around, so it’s very surreal. The stage’s title says you’re in another dimension, and you really didn’t hold back on that! 6. Hänschen klein: A German folk and children‘s song. That stage began with origami. Miyamoto said he wanted to do origami. Oh, now I remember! I was talking about how fun it would be to have paper cranes fold. Pieces of paper fold into airplanes and fly around. We experimented with various things and thought it would be a waste to simply throw away what was left over, so we packed them into that bonus stage. At the end, the staff credits appear, and just when you suspect it’s the end, the letters for “The End” appear in a scattered way. And then you get to shoot them! Even back in the days of Super NES, we wanted to avoid commonplace staff credits and do something interactive. Given the many constraints, the inclusion of such gameplay is surprising. 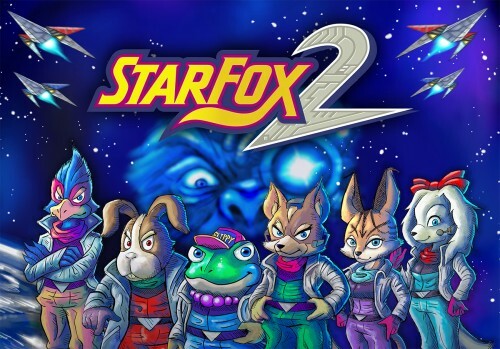 Now I’d like to talk about Star Fox 2, which surprised fans all over the world upon the announcement of Nintendo Classic Mini: Super Nintendo Entertainment System. The originally planned release of this software was cancelled, so it became a “phantom game”, and no one expected the day would come when they could play it. I haven’t played it in a long time, so I hope people can enjoy playing it in this day and age. How did it come about that you would include this game in Nintendo Classic Mini: Super Nintendo Entertainment System? The Nintendo Classic Mini: Super Nintendo Entertainment System’s producer said he wanted to include it. He said it had been through debugging and was a complete game, so it would be a waste not to put it out in the world. If it was complete, why did you decide against releasing it before? The release of Nintendo 64 was coming up. Right. Nintendo 64 was hardware geared for polygons, but Super NES wasn’t, so we were going to have to add a chip, the Super FX 2 with double memory, raising the price. The price was high and the timing of the release was awkward, so we decided to cancel it and start from scratch with a new Star Fox game for Nintendo 64. 7. Star Fox™ 64: A 3D shooting game originally released in Japan for the Nintendo 64™ system in April 1997. Released in Europe in October 1997 as Lylat Wars. 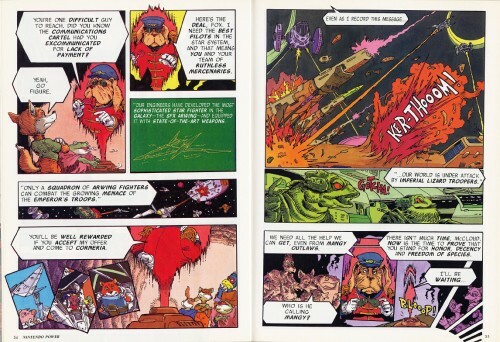 Watanabe-san, what do you remember from development of Star Fox 2? The Super FX 2 chip allowed more polygons and the possibilities broadened for what we could show. So we decided to have the fighters transform. Arwing can change into a Walker. 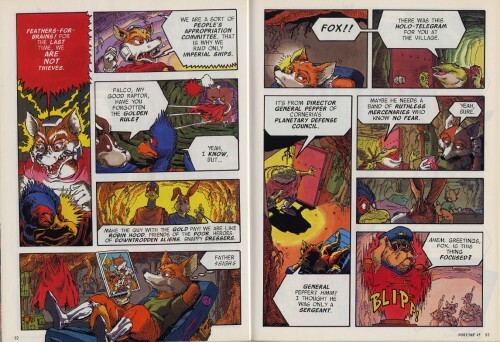 At the time, Ashura-san had a Star Fox comic series in the American video game magazine Nintendo Power. 8. Ashura Itoh: A multimedia artist who also professionally plays guitar in addition to drawing manga and other work in illustration. He has been involved in the development of many video games, including games in the Kirby series. When Ashura-san saw the fighter spin, he said the pilot would get dizzy! That’s true. (laughs) It may be a video game, but you mustn’t be too irrational. So the fighter transforms, but instead of simply making it look fun, we designed it in consideration of the actual mechanisms at work. Watanabe-san, you’re holding some materials. This is a picture Imamura drew of Star Wolf. Without hesitation, he simply dashed it off! Imamura-san has stamped the date on it. May 29, 1994… He drew this over 20 years ago! To mark this occasion, we included it in the game manual available for download. We were finally able to share this 20 years after the making. We just talked about the transforming fighter, so… (flipping through the folder) As for exactly what that entails, check out these illustrations. It’s quite detailed, down to the way each part connects. Does that mean you thought out how the fighter transforms? Actually, I drafted these later. I thought the players would enjoy having an explanation of how the fighters transform mechanically. So you produced these for the game manual. Did you draw all these yourself? Watanabe was in the high school manga club. He was always good at drawing mechs. 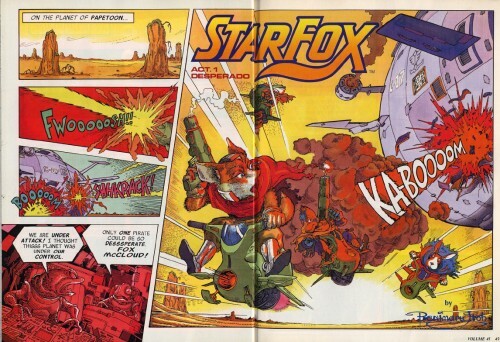 You drew all this but then Star Fox 2 got cancelled. Watanabe-san, what did you think when that happened? I worked really hard on it and thought it was too bad that I couldn’t deliver my work to the players. After all, the game was complete and you had done all this art. For that reason, it was an event that really made me think, and I was really disappointed. How do you feel now that it has come back for Nintendo Classic Mini: Super Nintendo Entertainment System? At the time, we used the latest technology and worked as hard as we could to make the game, but I’m not sure how enjoyable people will find it today. Well, you did complete it 22 years ago. Actually, I’m glad it’s coming out now in this fashion. Back then, the reasons we couldn’t release it had to do with pricing and timing. It’s not like we showed it to testers and they gave it a low grade. 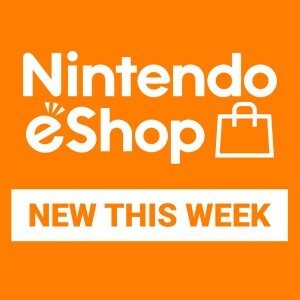 This interview is being conducted due to the release of Nintendo Classic Mini: Super Nintendo Entertainment System, so I’d like to ask about the Super NES game console. Miyamoto-san, you were deeply involved in the development of Super NES, weren’t you? Yes. Together with the industrial designer, I did most of the console design for the original Super Famicom version of the system released in Japan and Europe, plus the packaging. How did you handle the contents of the hardware? During the NES era, the company grew and evolved to the point where hardware designers would consult game developers on how to handle various matters. Nintendo is an integrated hardware and software business, and you were just then achieving that. That’s right. That solidified during the days of NES. Compared to NES, Super NES features a curvier design. Yes. Relatively early on, we decided to introduce round elements to the controller design. The design around the A, B, X and Y Buttons, as well as the +Control Pad, has round aspects. And the design of the round ends, where you hold it, makes it easier for small children to grip the controller wherever they want. We shaped it that way so it would be easy to hold for any hand size. 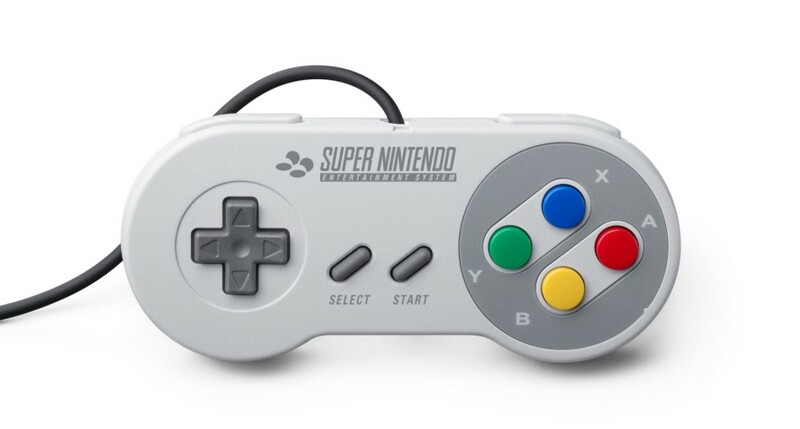 And compared to the NES controller, there are four more buttons. For example, the arcade version of Street Fighter II9, which is included in Nintendo Classic Mini: Super Nintendo Entertainment System, had two sets of three buttons per player, so a total of six buttons would be necessary for playing. 9. Street Fighter II: A fighting game developed by Capcom. Many Street Fighter series games have been released since the arcade version debuted in 1991. Nintendo Classic Mini: Super Nintendo Entertainment System includes Street Fighter™ II Turbo: Hyper Fighting, which first released in arcades in December 1992. You increased the number of buttons for Street Fighter II? But we really worried about the arrangement of the A, B, X and Y Buttons. We couldn’t figure out whether to put the B Button diagonally above or below the A Button. And after some thought, you decided on below. That’s why it’s a Y Dash in Super Mario World10! 10. Super Mario World: A platform game included in Nintendo Classic Mini: Super Nintendo Entertainment System. Originally released in Japan on the same day as the Super Famicom in November 1990. Released alongside Super NES in Europe in April 1992. Yeah! (laughs) And we tried to divide the buttons into groups. We assigned priority, so the primary buttons are A and B, with X and Y as secondary. That’s why we decided to call them X and Y instead of C and D.
The American version of the controller adopted two tones. Japan and Europe used the same design, for the main console as well. In America, they did their own design for their market. For example, if you touch the X and Y Buttons, they’re concave. The characters you designed for Star Fox were a topic of conversation in a session of Iwata Asks, so it’s on purpose that I haven’t asked about them today. That’s right. I’ve talked about them all over the place! I originally considered making the characters human, but Miyamoto overturned that and suggested making them animals. We made the main character a fox because of its association with the Fushimi Inari shrine near the head office, and then for the other characters, we chose from among the types of animals that appear in Japanese folk tales. But there’s something I still haven’t talked about. The faces of the characters on Team Star Fox are based on staff members at the time. Fox has a fox-like face like Miyamoto. Director Katsuya Eguchi11 has a mouth like a hare’s, so he became the hare, Peppy. Planner Yoichi Yamada12 has large, round eyes, so he became Slippy Toad. 11. 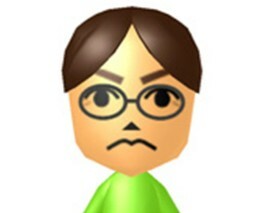 Katsuya Eguchi: In addition to participating in development of the Animal Crossing series, he has recently served as general producer for games such as Splatoon and ARMS. 12. Yoichi Yamada: Since serving as assistant director for The Legend of Zelda: A Link to the Past, he has participated in the development of almost all subsequent The Legend of Zelda games. I was surprised to see the materials that Watanabe brought today. I did the illustration for Star Fox 2’s packaging this time, but if I had seen those first, I might have drawn something different. Look forward to volume 2 of this interview series, coming soon: F-ZERO! 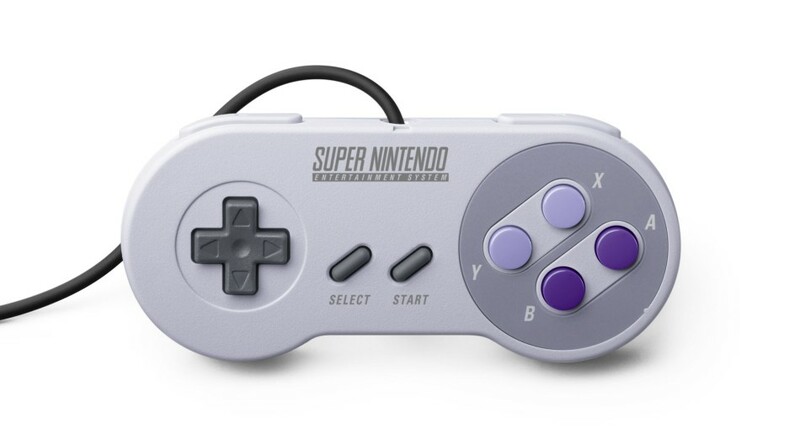 Nintendo Classic Mini: Super Nintendo Entertainment System will be released on September 29th. Please check with your local retailer for information on current availability.